Archerfield 10K: A perfect day out? Love gin, tolerate running !!! Another weekend, another spot of parkrun tourism. 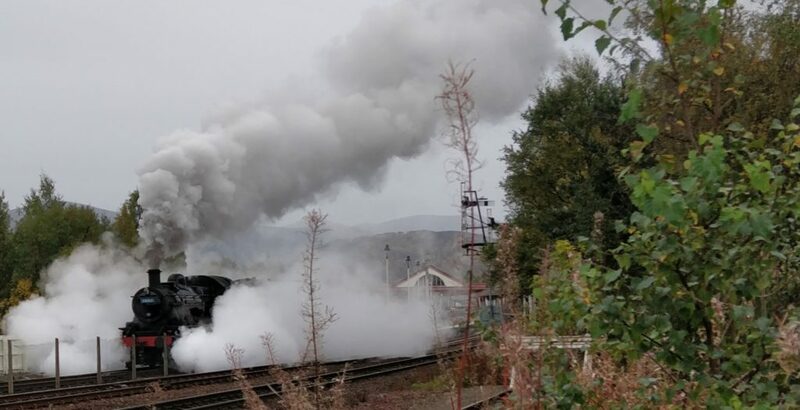 The GinRunners loaded Mabel with gin (Tanquerry Sevilla orange) and tonic (Fentiman’s Valencia orange) and headed North for yet more running, starting off with an eagerly anticipated date with those Aviemore Parkrun folks. We were a little curious about this one when the sat-nav postcode led us into an industrial estate, we didn’t see anything particularly park-ey but the usual gaggle of runners meant we were definitely in the right place. 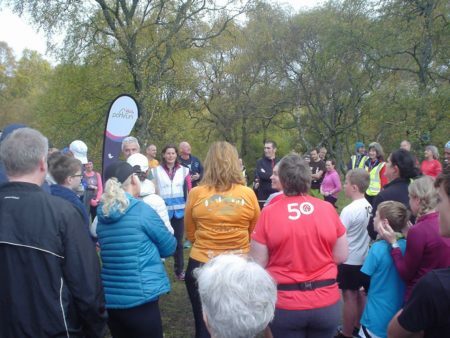 Event director Mairi took us all through the traditional parkrun race briefing. Not sure how many hardy souls she was expecting, but there were a LOT of parkrunners in attendance, 126 in total. Possibly something to do with the wee Half Marathon thing the following day. It was a gloriously wide spectrum of the Parkrun community too. The usual speedy types were there but also a load of parents with kids. Of course the doggies were there too, making it all look far too easy. The Industrial estate turned out to be the last frontier of civilisation. 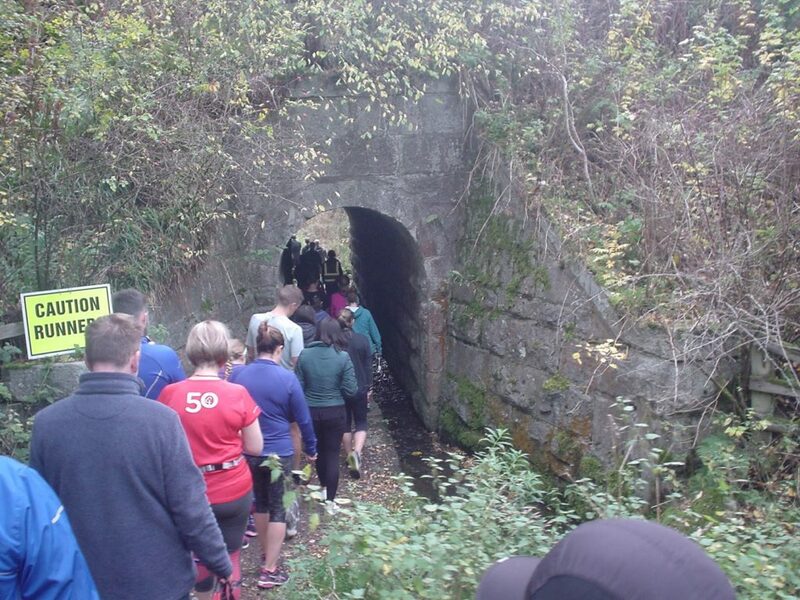 The short walk through a mysterious tunnel under the railway line to the start took us into another world. The line between “civilisation” and “wilderness” was abrupt. On the other side was the Speyside way where the run itself took place. The route was a straightforward out and back and the first part of the course undulated through the forest along a well made path. After a while the route leaves the trees and the landscape opens out as the path heads up towards the turn. Long before we got there the speedy types passed us coming the other way on their route to the finish. This is where the parkrun community shines through with many a good luck and well done exchanged as people passed. At the watch told us we were approaching half way point we thought we must have been hallucinating, because we were sure we could hear music. Well it turns out we weren’t imagining it. Marshall Bill was manning the turning point and provided the half way entertainment, was blasting out a spot of Skynyrd while having a wee dance.. The undulations on the outward leg seemed to be mostly up. In one of those bizarre topographical anomalies that only happen when you’re running, the return leg was mostly uphill too. This is a REALLY pretty parkrun, and the cracking views and twisty-through-the-trees bits took your mind off the wee uphill kicks. Keeping ahead of the storm. Crossing the finish line and getting our tokens scanned we headed back to Mabel and into town for some breakfast. 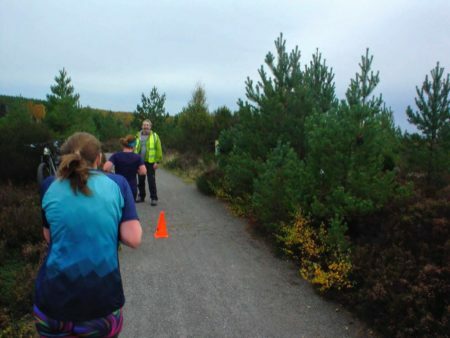 We thought Fort William would take some beating, but Aviemore was another beautiful, fun parkrun. Hell, the rain even stayed away for the time we were running. Pissed down straight afterwards though. On the subject of breakfast we can recommend Cobb’s coffee shop on the main street. Just beware.. when they ask you if you want two or four sausages in your roll, they mean it literally. Four big sausages. A breakfast fit for a parkrunner. Auchterarder Running Festival 2018, 10K Review.